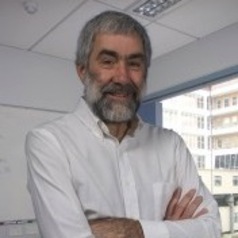 Terry Speed completed a BSc (Hons) in mathematics and statistics at the University of Melbourne (1965), and a PhD in mathematics at Monash University (1969). He held appointments at the University of Sheffield, UK (1969-73) and the University of Western Australia in Perth (1974-82), and he was with Australia’s CSIRO between 1983 and 1987. In 1987 he moved to the Department of Statistics at the University of California at Berkeley (UCB), and has remained with them ever since. In 1997 he took an appointment with the Walter & Eliza Hall Institute of Medical Research (WEHI) in Melbourne, Australia, and was 50:50 UCB:WEHI until 2009, when he became emeritus professor at UCB and full-time at WEHI, where he heads the Bioinformatics Division. His research interests lie in the application of statistics to genetics and genomics, and to related fields such as proteomics, metabolomics and epigenomics.